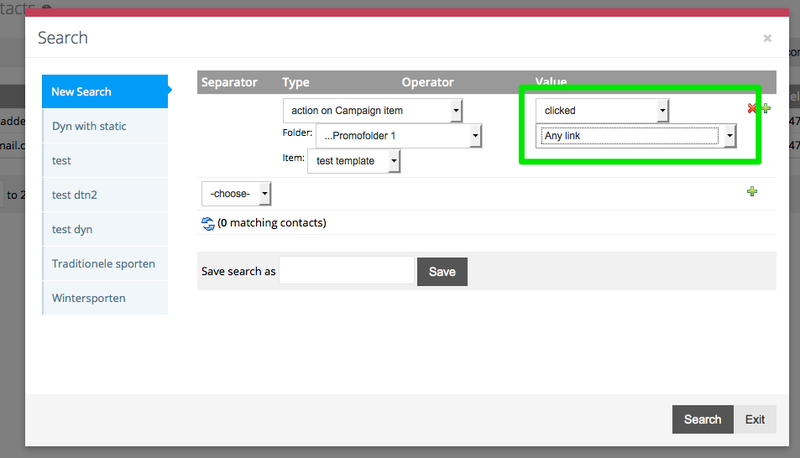 In our application we have created a mechanism where you can filter on existing campaigns. 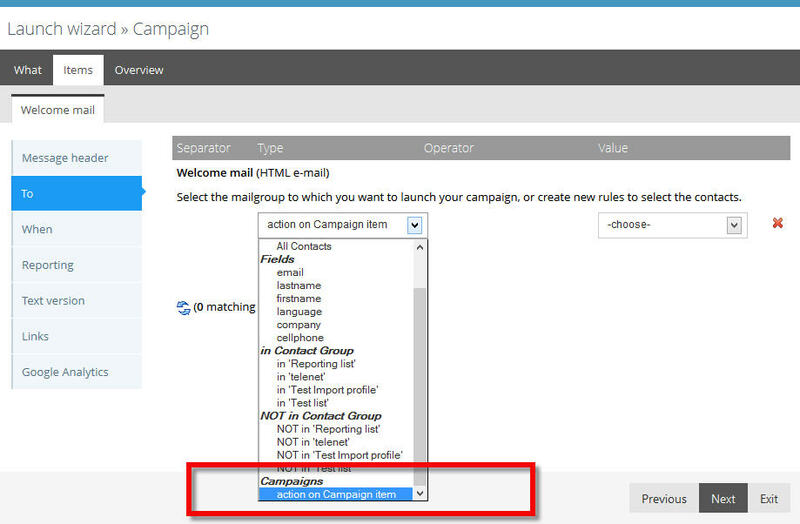 For example you want to send a campaign to all the openers of an previous sent campaign. First you'll need to activate the account setting. How to activate an account settings is described here. Search on 'campaign filtering' and activate it. The filtering we implemented is done at campaign level. Click the launch button to activate your launch wizard and go through the first steps until you arrive on the following popup screen. In the To section of this popup, you'll to select the following option in the first drop down, as shown on the screenshot above. Once you have selected the action on Campaign item, you'll have the possibility to select a previous campaign and also on which action your current campaing needs to be sent. In the above screenshot I choose a folder and item ( item = your campaign item ) and I want to sent the current campaign to the openers of that selected campaign item. Let's use a specific example. I want to send out a email campaign to all my facebook link clickers inside my last campaign. In the dropdown below the CLICKED option, you choose the facebook link. 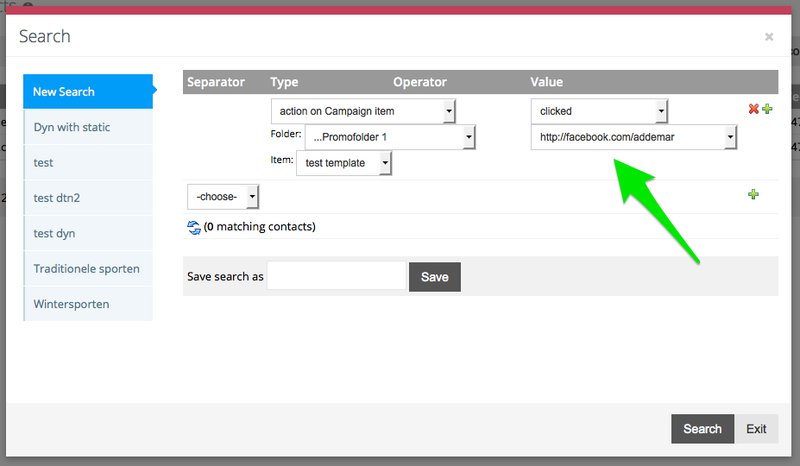 This allows you to send out drip campaigns based on click behaviour of your contacts.